Searching for top quality rain gutter installation in Ellijay, GA? Choose Affordable Gutters Plus, LLC! Your home obtain the high quality rain gutter installation it requires with our complete gutter and roofing services. Our objective is to ensure every rain gutter installation will last you as long as you own your house, offering you peace of mind and easing worries about roof damage. With top-notch workmanship and customer service, our licensed contractors supply you with quality service in town. For each of your rain gutter installation questions, we are only a phone call away. Contact Affordable Gutters Plus, LLC today at 770-735-4433 for your rain gutter installation in Ellijay, GA. 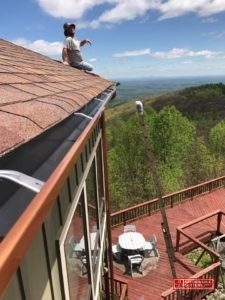 Affordable Gutters Plus, LLC provides all of your needed home services in Ellijay, GA. Our contractors are skilled installers) who complete roofing, flashing, and rain gutter installation services. Seamless Rain Gutters: Leakless, seamless gutters from Affordable Gutters Plus, LLC supply your home with protection from water damage. And So Much More! Your house framework stays in one piece because your roofing system acts as a safeguard to stop excessive damage from storms, hail, and even winds. Installing a excellent gutter system can safeguard your roofing from unforseen damage caused by water, increasing its defense. Call 770-735-4433 for rain gutter installation in Ellijay, GA.
You want your house to last you a lifetime. 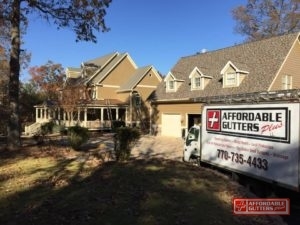 With Affordable Gutters Plus, LLC, you receive contractors that comprehend your requirements and strive to give you gutters that are designed to last as long as you occupy your home. We are licensed to install, repair, and replace your residential roofing and gutters. No matter what service you need, you always get top-notch craftsmanship and excellent customer service. 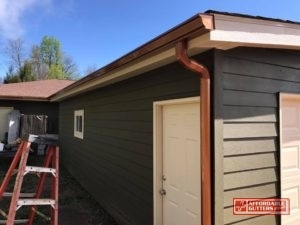 For all of your rain gutter installation requirements in Ellijay, GA, contact Affordable Gutters Plus, LLC today at 770-735-4433.